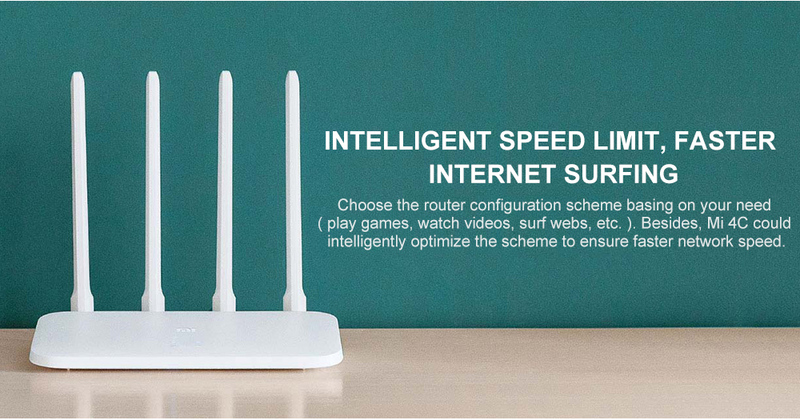 Xiaomi, which also makes routers, is invading the market with new innovative versions. Currently, the Xiaomi routers line is used by 11 million people daily, 2.460 million orders are made daily and maintain a rate of 1.455 million connected devices. However, Xiaomi is an example that technology should not be the privilege of a few, everyone should be able to enjoy it. And that’s what the Xiaomi Mi Router 4C proves going on sale in China with an absolutely incredible price. Previously, they launched the Xiaomi Mi Router 4, special for fiber optics, and the Xiaomi Mi Router 4Q with OpenWRT. 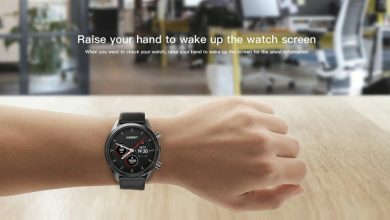 A few days later, both models gots the update following Xiaomi’s agreement with Jinshan Cloud to offer navigation improvements. Now Xiaomi launches Mi Router 4C as an alternative with a highly competitive and affordable price. As the third product of the series, in terms of design, it remains the standard of its predecessors. However, this version offers 4 omnidirectional antennas capable of transmitting signals in different directions. And next to them we can see two LAN ports 100M and a WAN port. From this device, we can expect all the advantages of Xiaomi products, including compatibility with the Mi Home application. In addition, Mi Router 4 offers a built-in 64MB memory and new navigation improvements thanks to the agreement with Jinshan Cloud. Although, for this price, some functions are sacrificed, like the 5 GHz WiFi. In this version only remains at 2.4 GHz with WiFi N up to 300 Mbps. However, that does not mean that this model also offers a catalog of functionalities. This product is capable of keeping 64 devices connected at the same time, even using Ethernet and WiFi, only by the power of its 64 MB DDR2 RAM and an MT7628DA processor. With the integration of AI, we can control the security of our network like never before, even outside the home. Through its OpenWRT operating system, the device can identify the synchronization with new users who do not belong to the network. Then, if someone has hacked us, a notification will immediately alert us and we can place this user on the blacklist. 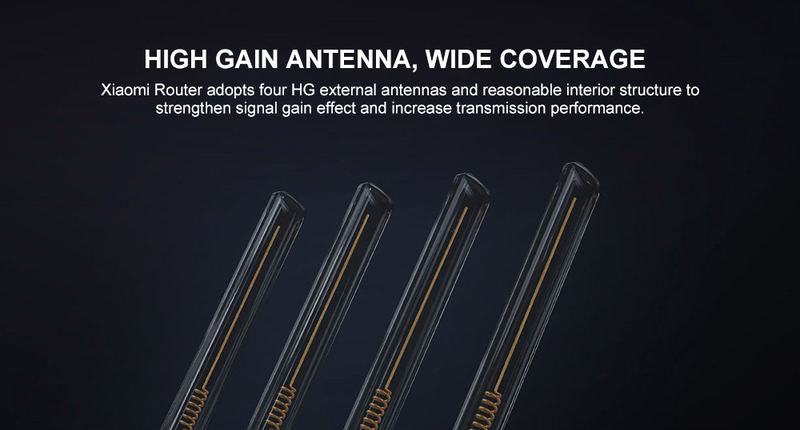 In addition, with the WiFi Optimizer function, we can accelerate the speed of the four antennas of 5 DB gain. 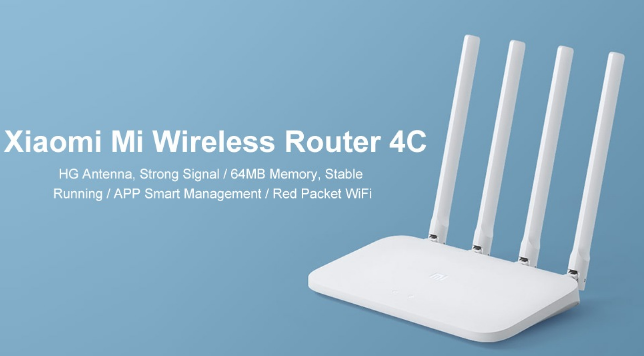 The Xiaomi Mi 4C Wireless Router is currently available on Gearbest For Just $24.99 and depending on your shipping option and location, this router might be delivered to you for free.